Located in hall B5, stand F95, the seminars, which can be attended free-of-charge with a valid FESPA and European Sign Expo 2019 entry ticket, will begin at 11.30am on the first day of show (Tuesday 14 May) and will take place throughout the duration of the event until 3pm on Friday 17 May. 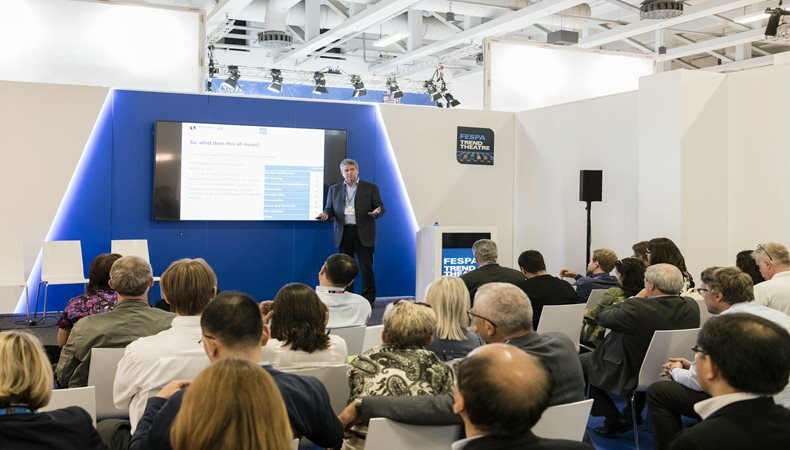 The Trend Theatre programme, which comprises 38 individual sessions, has been put together with the needs and interests of the FESPA global speciality print community in mind and will deliver key insights on a host of topics including automation, sustainability, digital printing, signage and textile. Dominik Rietzel, Head of Additive Manufacturing - Non-Metal at BMW Group will give the keynote presentation on the future of 3D printing on Thursday 16 May at 2pm. There will also be daily trends forecast sessions hosted by KeyPoint Intelligence on a selection of topics including: workflow, the state of the wide format industry, textile, decorative applications and packaging. Also taking place at FESPA Global Print Expo 2019, is Ask the Experts hosted by ESMA, in hall A6, stand A70, which offers visitors the opportunity to book one-to-one advice sessions for unbiased, technology neutral advice from independent print consultants. Experts include: Steve Knight, Digital Direct Technologies; Phillip Klinger, Softcon; and Thomas Poetz, 3T Inkjet Textile Consulting. FESPA Global Print Expo 2019 is Europe’s largest specialty print exhibition for screen and digital wide format print, textile printing and signage solutions. It will take place at the Messe Munich between the 14-17 May. Please use promo code FESG902 to register for free.